Being diagnosed with pulmonary fibrosis can be a scary and isolating experience, and the same is true of those who have a friend or loved one living with the disease. Pulmonary fibrosis is a lung condition that results in scarring and tissue damage to the inside of the lung, where gas exchange normally occurs during breathing. As pulmonary fibrosis progresses from mild to moderate to severe, those who have it experience increasing shortness of breath and difficulty getting enough air into and out of their lungs. Having to witness this process in a loved one can be terrifying and often leaves one feeling the need to do something to help — but without the knowledge or tools to intervene. Here are some things you can do to help. The single biggest thing you can do for a friend who has been diagnosed with pulmonary fibrosis is to simply be there for them and provide emotional support in their time of need. People may experience a whole range of emotions when they are diagnosed with any terminal condition, and pulmonary fibrosis is no different. From anger and fear to sadness and hope, all variety of emotions are normal during this time. As the patient’s friend, you know best what your friend or loved one will need. While some people prefer to be left alone to consider their diagnosis others will want hugs or physical affection, emotional support, information and resources. The best thing you can do is to validate your friend’s feelings and behaviors and reassure them that how they are feeling is normal and okay. Rather than simply giving them platitudes, try to offer words that will be meaningful to them and help them grow through this difficult circumstance. For example, avoid empty comments such as ‘everything happens for a reason…’ or ‘let me know if you need anything’, and try something specific and encouraging, like ‘you have been doing great with your breathing exercises throughout this process’ or ‘can I come with you to your next appointment?’ or ‘can you show me how to do one of your breathing exercises?’. People with pulmonary fibrosis or any other chronic disease can benefit emotionally from regularly being reminded that they are so much more than just their diagnosis or prognosis. As a good friend, one of your primary roles in helping them cope with the disease is gently encouraging them to engage in non-disease-related hobbies and activities they love. Oftentimes people with pulmonary fibrosis are limited in their capacity for physical movement such as extended walking or exercising, especially in the later stages. However, there are still plenty of activities they can happily engage in. These include playing card games or video games, watching films, listening to or playing music and going out for a coffee. For a special event or occasion such as a birthday, you may want to invite your friend to a cooking class, a film festival or another similarly enjoyable activity that is not physically taxing. People with pulmonary fibrosis are often counseled by their physician or other healthcare provider to do a variety of breathing exercises to facilitate good air entry into their lungs and reduce symptoms of air hunger and anxiety. 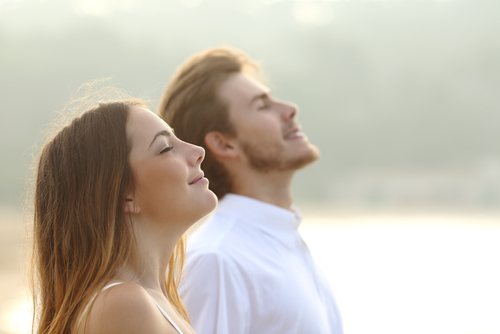 These exercises may include deep breathing, pursed-lip breathing, diaphragmatic breathing and more. One way you can support your friend who suffers from pulmonary fibrosis is by learning more about the breathing exercises they have been prescribed and how to do them effectively. Doing these exercises with your friend is a great way to help them feel less alone in the process of managing their disease and provide support in ways that others may not. The unfortunate reality of being diagnosed with pulmonary fibrosis is that from the time of diagnosis, the life expectancy of a person with the disease is five years. The disease is ultimately fatal. What this means is that extra emphasis should be placed on enjoying life in the moment and increasing quality of life for people who have been diagnosed with the disease. As a friend of a person who has been diagnosed with pulmonary fibrosis, you know a great deal about their life before diagnosis and the things your friend likes to do. Maybe they always wanted to volunteer with the homeless, visit Paris or build a hardwood table from scratch. Whatever your friend has always wanted to do, now is the time to encourage them to make it happen. Finally, as a friend, you are an important advocate for pulmonary fibrosis appointments. You may even be asked to attend appointments, visit them if they are hospitalized and so on. These are important moments to advocate for your friend and ensure their wishes are heard and included in their care. 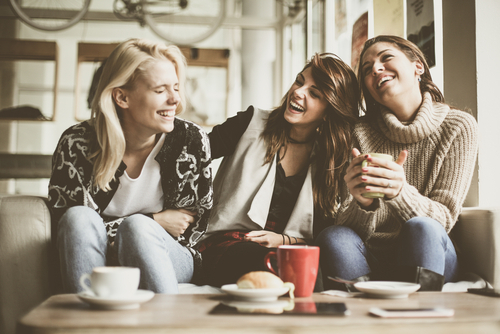 Whether your friend is newly diagnosed with pulmonary fibrosis or has been living with the condition for years, using these tips can help you help them survive and thrive with this life-altering medical condition.